Dry to moderate moisture. Prairies, open, upland woods. Full sun. 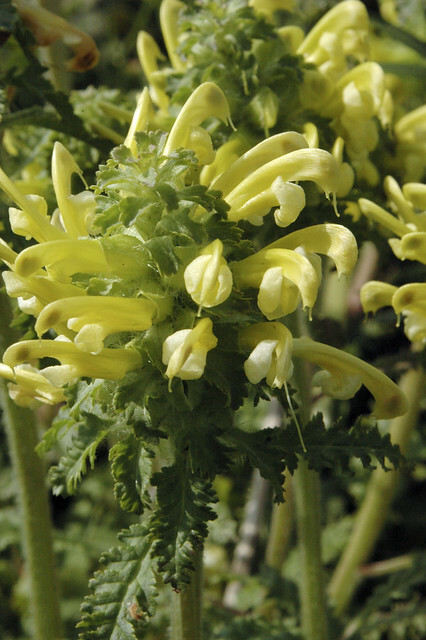 This is a 4″ to 16″ tall, erect, perennial forb that rises on 1 or more stems from short rhizomes. It forms large clumps. 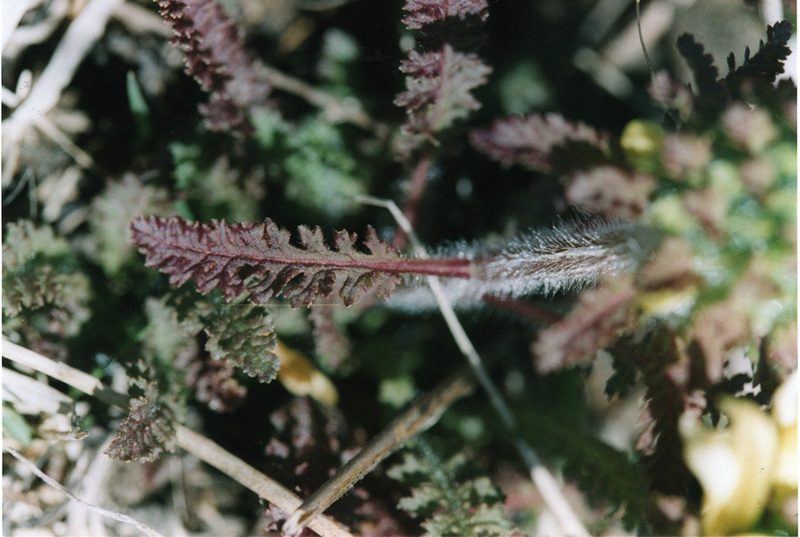 The stems are erect, hollow, unbranched, green or reddish brown, and hairy with long soft hairs. The leaves are mostly basal. Basal leaves are crowded and form a rosette. They are on stalks that are often longer than the leaf blades. They are inversely lance-shaped with the attachment at the narrow end, up to 6″ long and 1″ wide. 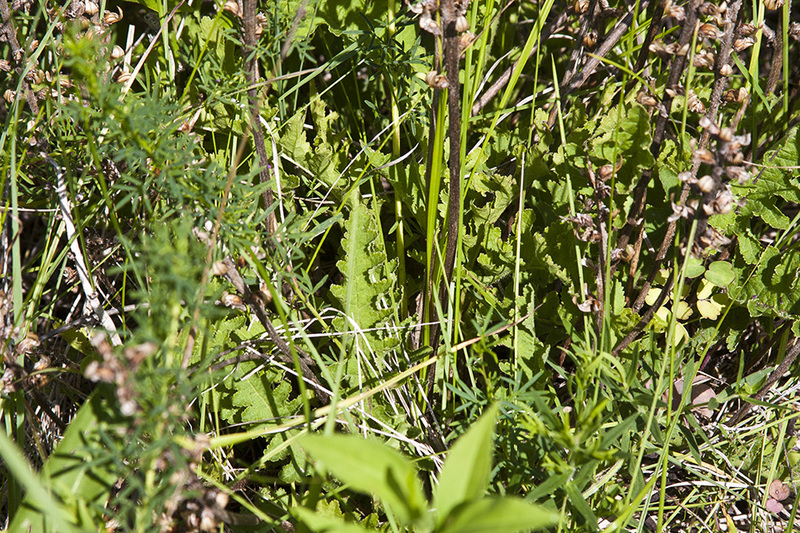 They are fern-like in appearance, cut with deep, rounded lobes more than half way to the midrib (pinnatifid). The upper surface is deep green, hairless except with appressed hairs along the sunken midrib, with indented (impressed) lateral veins. The lower surface is lighter green, hairless, with raised (prominent) lateral veins. The margins of the lobes have fine, rounded teeth. Stem leaves are alternate and similar to the basal leaves but smaller and on shorter leaf stalks. They are 1⅛″ to 2⅓″ long, and ⅜″ to ¾″ wide. Lower leaves are on long leaf stalks. Leaves become smaller and leaf stalks shorter as they ascend the stem. Upper leaves are stalkless. The inflorescence is a 1″ to 2″ long, cone-shaped spike at the end of the stem and sometimes also from upper leaf axils. They have a conspicuous pinwheel arrangement, with the flowers sticking out at right angles to the central axis. The individual flowers are stalkless and subtended by a single leaf-like bract. The calyx is ⅓″ to ½″ long with 2 spreading, rounded lobes. There are 5 yellow petals forming a ⅔″ to 1″ long, tubular, 2-lipped corolla. The upper 2 petals are fused into convex, one-lobed, hood-like lip (galea) from which the pistil protrudes. The hood is sometimes reddish or purplish tinged. There are 2 small teeth just below the tip of the galea. The lower 3 petals are fused into a banner that is shorter than the galea and has 3 lobes, the 2 lateral lobes rounded, spreading, and longer than the middle lobe. The 4 stamens are contained within the galea. 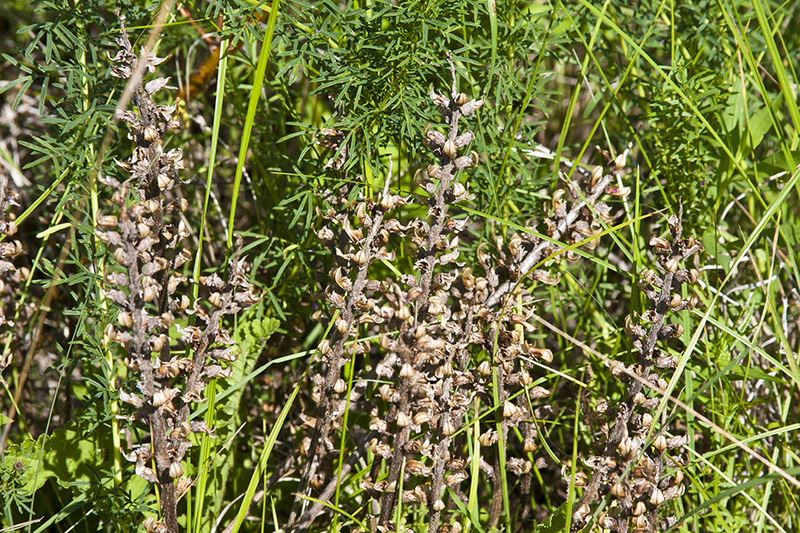 The fruit is a dry, egg-shaped capsule, 2 ⁄5″ to 3 ⁄5″ long, with uneven sides. It is twice the length of the calyx. When in fruit the spike elongates to up to 8″. 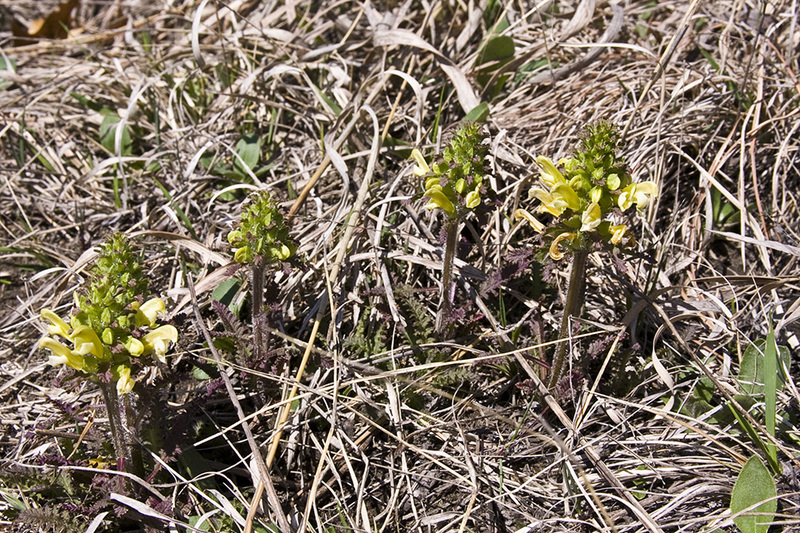 Swamp betony (Pedicularis lanceolata) is a much taller plant, reaching 12″ to 36″ at maturity. It does not form clumps. Stem leaves are opposite, not alternate. The lower stem leaves are on short stalks no more than ⅜″ long. Leaves are more shallowly lobed, the lobes cut less than half way to the midrib. 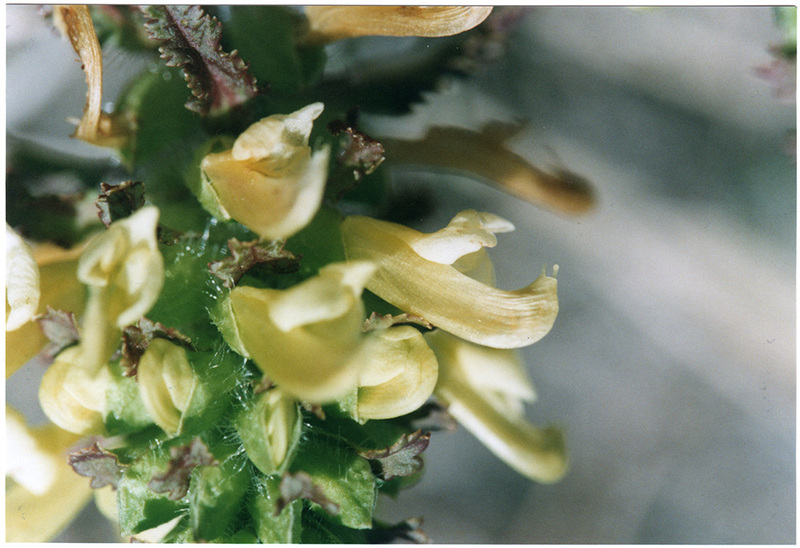 The inflorescence is up to 4″ long. 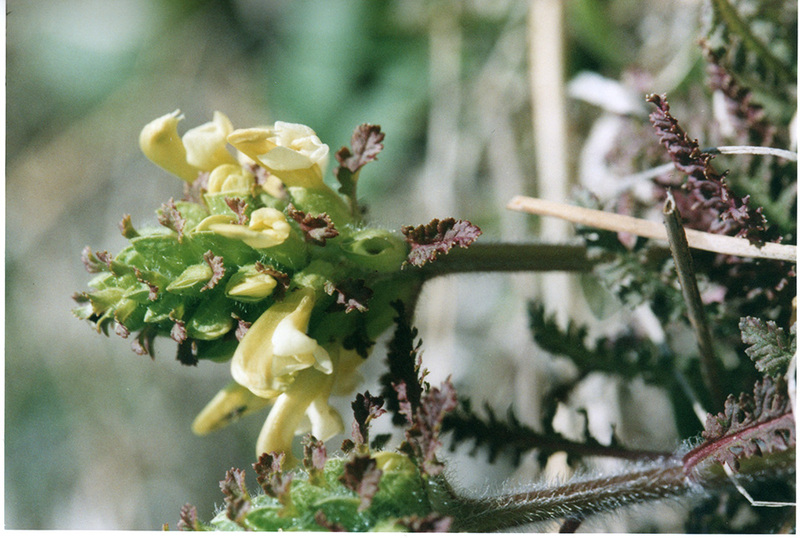 The flowers are white or yellowish. The galea is not toothed. The lower lip is about as long as the galea. It blooms much later, August to September. 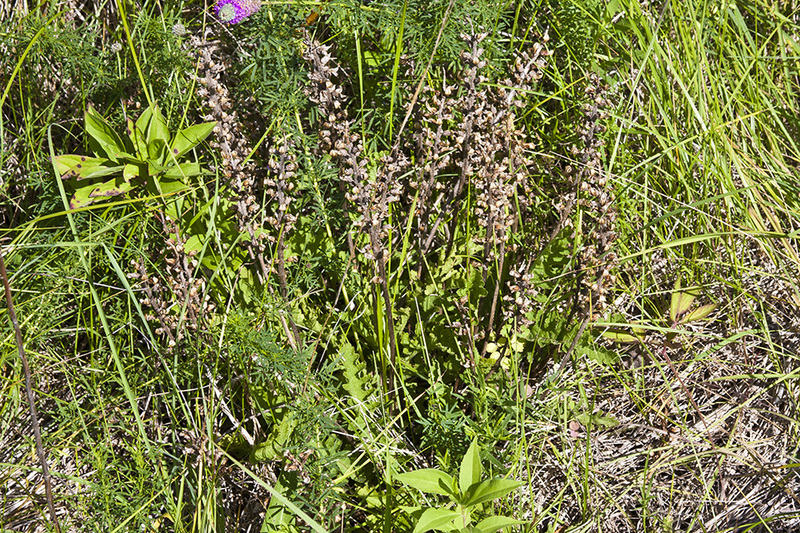 It is found in wet, not dry to moist, locations. 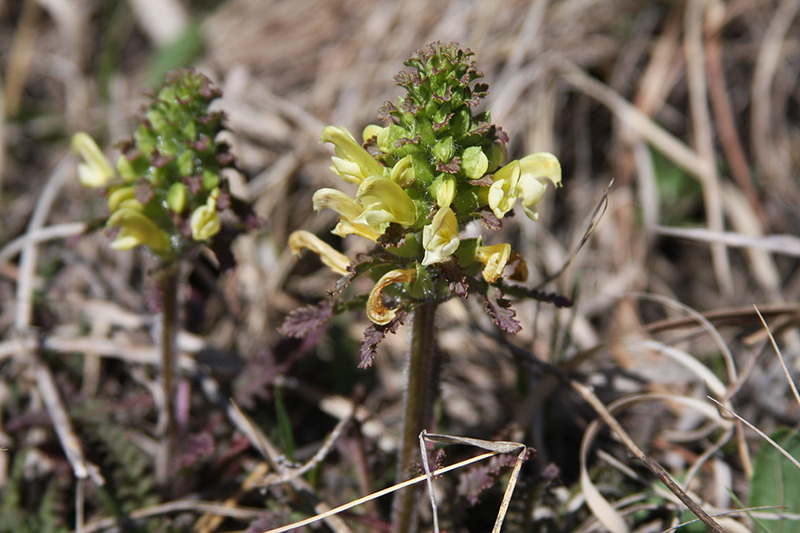 Wood betony is a facultative parasite. It gets water and nutrients from the roots of grasses and possibly other plants, at least 80 different species in 35 different genera. In the absence of suitable hosts it is capable of normal development. 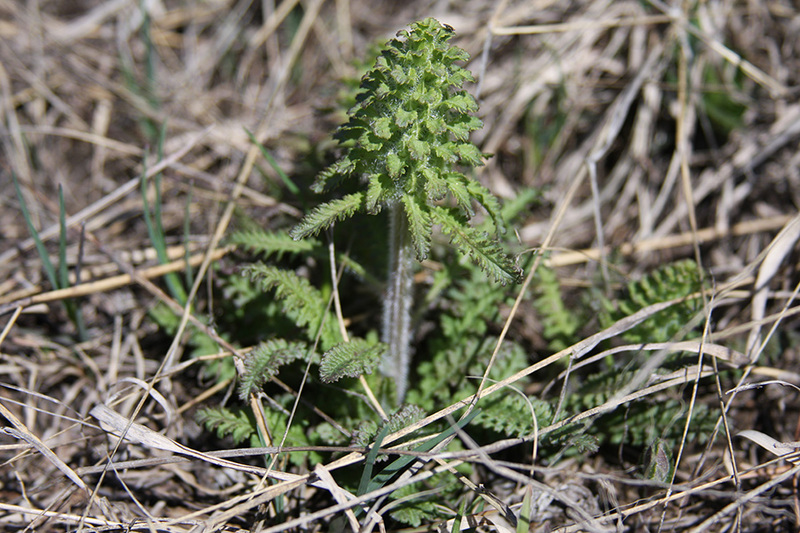 However, in the field it is rarely if ever found not parasitizing other plants. 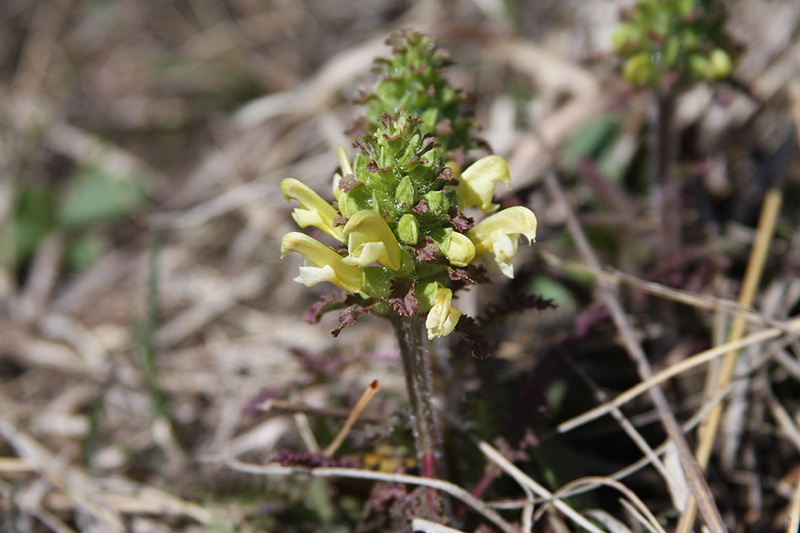 The genus Pedicularis, formerly belonging the family Scrophulariaceae (figwort), has recently been reclassified into the family Orobanchaceae (broomrape). Most field guides and other sources still show the former classification. An enlarged, vaulted, strongly concave or helmet-shaped upper lip of some two-lipped corollas, as in Indian paintbrush or monkshood.